Patrick Comerford: Is Venice drowning under the rising sea of tourists? the rising sea of tourists? In my monthly column for two church magazines – the Church Review (Dublin and Glendalough) and the Diocesan Magazine (Cashel, Ferns and Ossory) – I look this month (February 2019) at the growing resistance in many places to mass tourism. My ideas were developed during a recent visit to Venice, where many people feel the city has been blighted by mass tourism, and that this is a problem compounding the many other problems Venice faces. Some people wonder whether Venice is sinking not just beneath the rising waters of the Lagoon but under the daily tide of day-visitors. 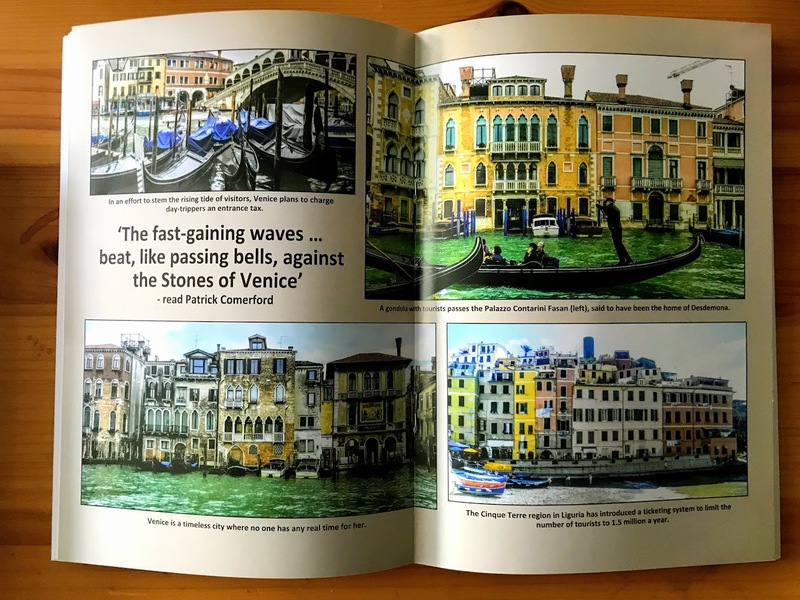 As well as a seven-page feature in the main part of the Diocesan Magazine, the editor has also presented a double-page, centre-fold spread of photographs from Venice. But, more about Venice, its beauty and its problems, over the next few days.